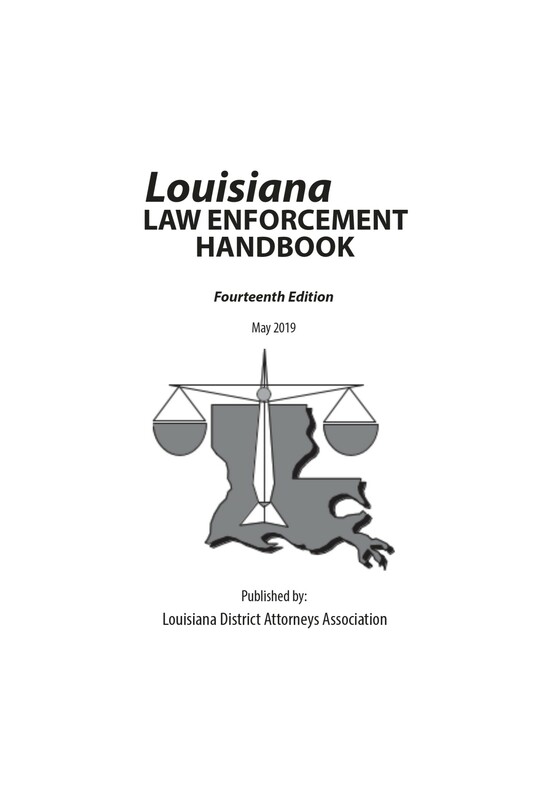 By Louisiana District Attorneys Association, Inc.
Louisiana Law Enforcement Handbook - A hands-on quick reference guide for Louisiana law enforcement and investigators. This handbook does not purport to answer all of the questions that arise in the course of a criminal investigation. It is hoped, however, that it will provide guidance to officers confronted with fundamental legal problems. Written and edited by members of the Louisiana District Attorneys Association.